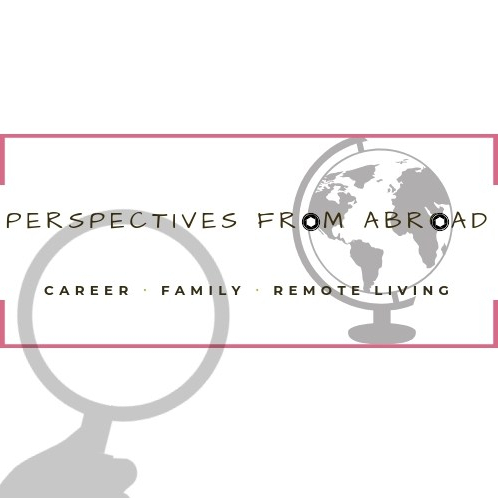 In a recent post, I talked about what I encountered as I sought services for my anything other than straight hair in Thailand. Writing that post made it evident that finding products – with reasonably natural ingredients – to nurture my tresses was going to be a ceaseless quest. Was I better off importing all of the products I used? I know what you’re thinking, sounds expensive right? I hear you, but the alternative is to start mixing up my own natural concoctions. Hmmm, maybe I’m onto something. Until I become a master mixer of natural hair products, the diligent search for products in Thailand continues. I hadn’t spent any significant time buying hair products before. It was relatively easy in my multicultural, urban environment to find excellent products that left my hair feeling and looking great without any effort. Soon after arriving in Bangkok I ran into two problems. The first was that none of the products I brought with me were sold in Bangkok. I couldn’t even find them on e-commerce sites targeted at the Asian market. The second problem was that the new environment had altered what my hair needed. So I found myself back at square one, researching ingredients, reading reviews and generally hoping that whatever I purchased online had the intended effect. I couldn’t have envisioned putting this amount of energy into keeping my hair healthy. I am fortunate that Napturally Curly, Natural Hair Queen, and many other sites out there have helped answer my questions on how to maintain mine and my daughters’ hair. Until I have a solid grasp of this, I’m sticking to purchasing brands I know from wherever I can find it. Living away from the U.S. and other places where there are large black communities makes acquiring those products that much harder since they aren’t as readily available and are more expensive to import (more on that in another post sometime soon). If you know something I don’t know about how to find natural hair products for 4C hair, please let me know. My favorite shampoo since I started actively seeking sulfate-free products is the Hair Rules Cleansing Cream. Not only is it creamy and fresh smelling, but it leaves my hair feeling smooth. Supplies are limited in the U.S., so I expected to have trouble obtaining it. Supplies online are often sold out. One site, House of Beauty has more Hair Rules products in stock but shipping internationally quickly becomes pricy. That isn’t even taking into account potential import charges once the item arrives in Thailand that you’ll have to pay to retrieve it. Alternatively, I am also trying out Pantene’s Co-Wash on the recommendation of my stylist the last time I saw her. When it comes to my girls’ hair, the same rules apply except I don’t spend nearly as much on their shampoo. Shea Moisture’s Coconut & Hibiscus Shampoo works really well in their hair. This is also something I can easily find online. Conditioner, conditioner, and did I mention conditioner? My problem with conditioner is that so you have to use so much of it, making it difficult to replenish when it runs out. That meant I had to find an alternative to the Quench Conditioner I loved to use in case it ran out. So I turned to Aussie Mega Moist Conditioner, which was also recommended by my hair stylist. Thanks, Jasmine! For leave-in conditioner, I recently found Cantu’s Leave-In Conditioning Cream, and its excellent for my hair and the kids. For my oil, water and conditioner mixture, Shea Moisture’s 100% Virgin Coconut Oil Leave-In Treatment is the right consistency for a spray bottle and smells great. I mix mine with jojoba oil. Don’t get me wrong, there are a ton of hair gels in Thailand, but I’m looking specifically for Ampro Pro Styl Protein Styling Gel. 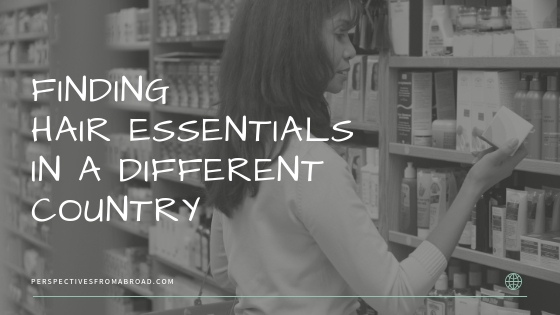 I have searched high and low in beauty supply stores – yes they exist here too! So far, no luck. I may have a better chance of finding natural oils for my hair like jojoba, tea tree and argan in Bangkok, but that will require a lot more research. In the meantime, I will continue to get these on U.S. sites like the other products. For now, this is the simplest way to obtain what we need when I can’t purchase a hoard from the States to bring back myself or rely on visitors to carry it. Anyone passing through Bangkok with some space in their luggage for some more of these? Let me know if you use any of these products and how you obtain them in the countries you live in. I like to use the Cantu products as well. I have had to order them through Amazon here in Germany. Luckily, I dont need to use much, so it last me quite a while. I wish! We go through it fast using it on 3 heads. Is shipping to Germany fairly reasonable? Most things are fairly reasonable.